What are Traffolyte Labels Commonly Used For? Traffolyte labels are used in industrial applications and are ideal engraving solutions. Traffolyte as a material has insulating properties and this makes it ideal for application in electrical engineering, especially where labelling is necessary. It is simply a multi-layered plastic sheet suitable for engraving when creating labels. These labels can help to offer information about some points in a system and are especially useful in technical projects that require keen observation and control. Power plants use the labels to indicate voltage at some points and to caution users against interfering with some sections of the system. These Traffolyte labels are also used on doors to direct visitors who are looking for a specific person or office. Their application extends from the general office setup to hospitals and schools where levels of authority are presented. 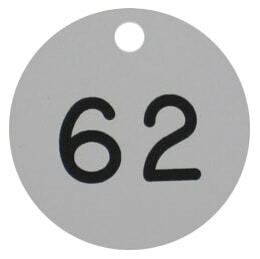 You can also get some made with numbers to help you separate different items or give them names, so besides industrial applications, there is a wide array of areas that you will find these labels useful. You can even add a company logo to the label, and many companies do the engraving in different languages. There are many benefits of using Traffolyte as a material for the labels instead of steel. Traffolyte offers a number of benefits, which stem from the properties of the material. Compared to steel, the material comes as one of the best solutions for labelling especially where industrial applications are at areas that may have electrical leakages. Here is why you should prefer Traffolyte over steel or other materials. Traffolyte is light in weight compared to steel and working with it is easy as it is flexible. Engraving different shapes on the label is easy and may not require many processes as would be the case with working with materials like steel. Cost effectiveness is another benefit you enjoy when you choose Traffolyte for labels. It is easy to work with and the material may not require heavy processes for engraving. You can also get many different background and text colours, which is something you may lack when you pick steel as a material for labels. This comes in handy especially where you would like to use the same colours as your brand and include things like the logo. Traffolyte can be made in different thickness options depending on application. Traffolyte is resistant to many chemicals, solvents, and acids, so this makes it the perfect choice for industrial application where labels are required. Traffolyte is a perfect material for labelling parts in industries and although it comes with all the benefits above, you may find steel a better alternative where you expect to use the label for a long period of time, especially if installed on a place that is exposed to harsh weather conditions. Traffolyte tends to get brittle when exposed to high UV for prolonged periods of time, so in this case steel or other materials would come as a better choice for engraving labels. This entry was posted in Able News and tagged engraving, labelling, labels, materials, Traffolyte on 17th March 2018 by admin.